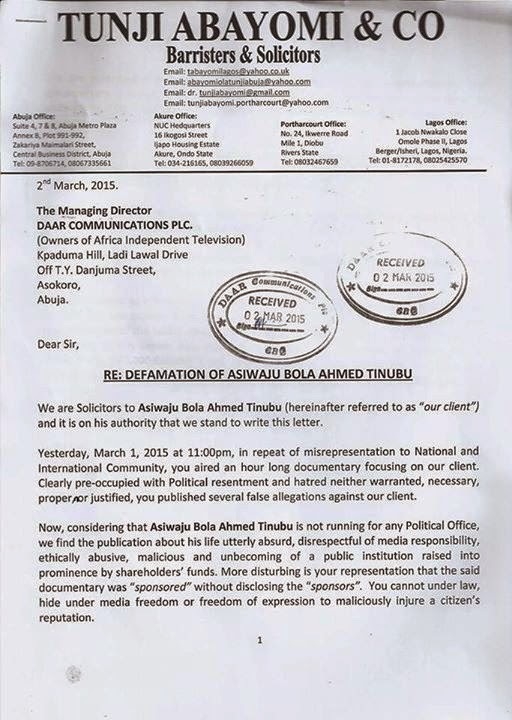 Bola Ahmed Tinubu's Lawyers got busy pretty quickly, would AIT call this a bluff or do they have evidence to support last night's documentary run by their station. The documentary outlined properties purportedly acquired by Tinubu in various choice areas in Lagos amongst other things. Will be watching how this one unfolds, stay tuned for more gist on this! !